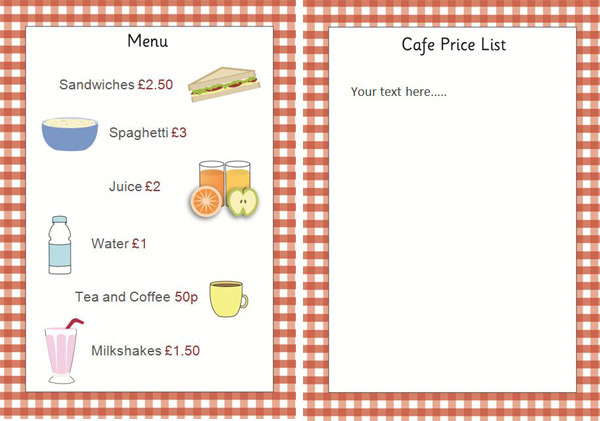 Editable cafe menu / price list, ideal to use in role play scenarios in your school or early years setting. This resource was designed by freelance graphic designer Claire Laity. You can contact her via her Linkedin page.